Blue first aid bag with moveable internal divisions and strap so it can be carried over the shoulder. Contains 11 safety pins and draft kit list. With printed panel on front: 'British Red Cross. Caring for people in crisis. 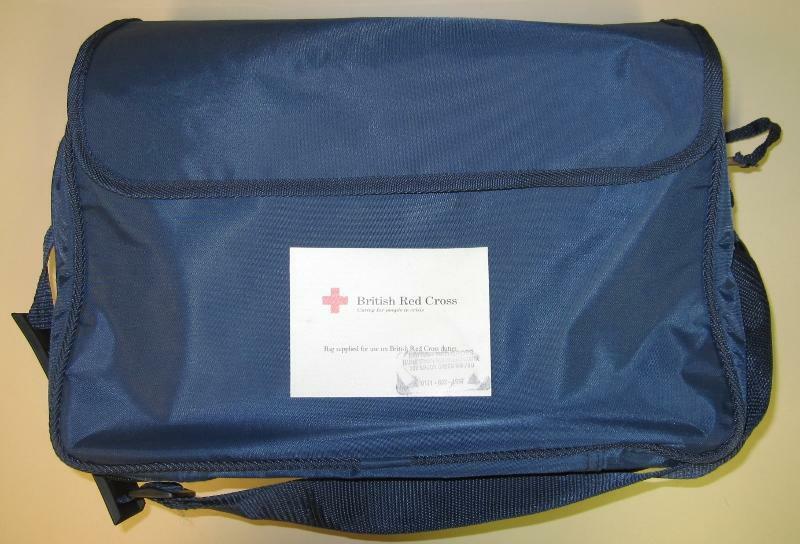 Bag supplied for use on British Red Cross duties'. Stamped British Red Cross, Hammersmith and Fulham Centre. 100 Brook Green, W6 7BD. 0171 602 1967.